At Original Big Tomato we have a history of corporate citizenship and take pride in the support of charitable organizations in the communities where we live. Although we give extensively, most of our funds are committed. Therefore, we created the Original Big Tomato VIP Program to offer organizations another way to raise money for their specific needs. 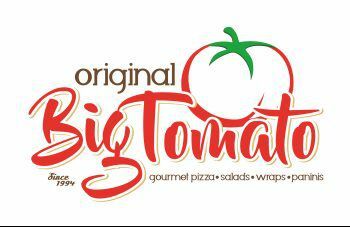 The Original Big Tomato VIP Program offers a charitable donation to local organizations that host a dining event at any of our three locations. Our contribution is based on 20% of the net sales from guests that bring in a VIP flyer for the organization’s specific event*. Since the fundraising takes place at your local Original Big Tomato restaurant, the money that is raised will benefit the communities in which we live, work, and play.